The OMA Section on Sport and Exercise Medicine has compiled links and resources from organizations involved in concussion education. Our Section has been involved with the Canadian Concussion Collaborative (CCC). The mission of the CCC is to create synergy between health organizations concerned with concussions to improve education about concussions, and the implementation of best practices for the prevention and management of concussions. The CMA recognizes the field of primary care sport medicine as leaders in the management of concussion. In August 2016, the CCC released "A roadmap for developing and implementing concussion management policies and protocols in sport", which is a resource for schools and sport organizations to help them incorporate concussion prevention and management principles. The CCC also drafted recommendations for policy development regarding sport-related concussion prevention and management in Canada that were published in the British Journal of Sport Medicine. Our Section is currently working with OPHEA – Healthy Schools, Healthy Communities putting together a slide set that can be used by sport medicine physicians to assist with the education process when going into schools to educate teachers, coaches and students. OPHEA works in partnership with school boards, public health, government, non-government organizations, and private sector organizations to develop programs and services that support healthy active schools and communities. The slide set is complete now that OPHEA has updated their concussion guidelines and protocols and is available on our web site to use in your local community. Our Section has also worked with the Ontario Neurotrauma Foundation on Guidelines for Pediatric Concussions. Guidelines can be found here. The Ontario Neurotrauma Foundation also has Guidelines for Concussion and Persistent Symptoms which can be found here. 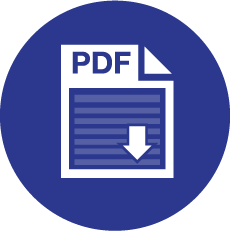 Please note that this PDF is 13.7 mb so it will take a few moments to download.